From the bottom of Vining's Hill. An end on junction at the bottom of the valley south of Batcombe. 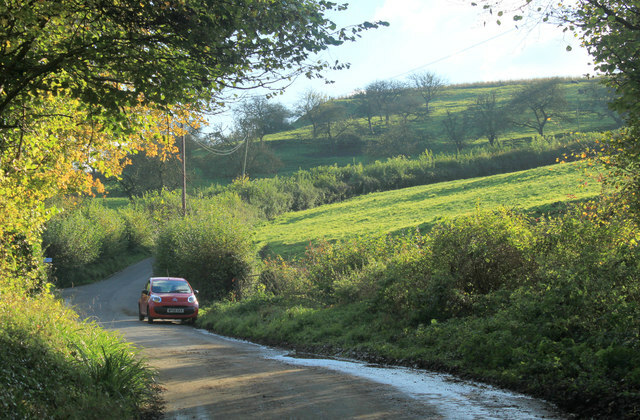 Similar view in 2008 here ST6938 : Portsway Lane from Saite Lane, south of Batcombe. Have called it "Portway Hill" after OS Explorer 142 but after the Slaite Lane/Seat Lane foul up am having doubts.